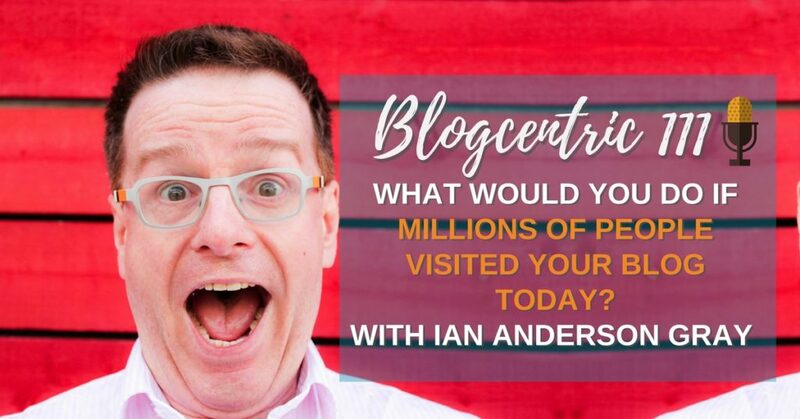 What Would You Do If Millions Of People Visited Your Blog Today? What would you do if millions of people suddenly visited your blog? That’s something live streaming expert Ian Anderson Gray had to face when one of his posts went viral. 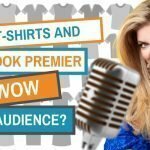 This week I talked to Ian about his blog and got his inside tips on creating Facebook live broadcasts. I’ve just watched back your talk from Social Media Marketing World which was, even for somebody like me who live streams a lot, great. I picked up loads of tips. I’m so happy to have you here to share some of those things. People may not know that you started out as a singer. How did you get from singing to social media marketing? I’d love to say that it was totally thought out and there was a strategy behind it but I’d be lying. Back in the day, when I was a wee lad I had this fascination with geekery and computers and technology and science. On the other side, I was really interested in and had a passion for music and singing. When I got to the end of school I had to make a decision. Was I going to go down the science route or was I going to go down the music route? Music won. I went to university to study music. I trained as a singer at the royal northern college in Manchester where I am now. So I was singing on stage, I was performing, I was teaching singing but at the same time I was building websites. My colleagues were just leaving college and they wanted to promote themselves so I helped them out by building websites for them. So there was this kind of combination of music and technology. 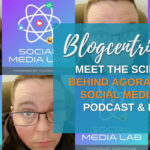 It wasn’t really until about six years ago when I found myself setting up a blog for the first time and I started writing about what I was interested in which at the time was social media tools. I started to write about these tools and I found that this article I wrote on HootSuite went absolutely ballistic, probably because it was a controversial topic. It was ‘Why not to use Hootsuite’ the slightly negative side of Hootsuite, my negative experience with it. Although I really liked it as a tool I was interested in what could be better about it. That article started to get tens of thousands of views per month. I then found myself being asked to speak at a conference in Manchester. Mari Smith was there, Melanie Dodaro, some big names in social media space and I found little me was on stage at this conference speaking about social media tools. I remember really clearly walking on stage really suffering from imposter syndrome thinking what on earth am I doing her on stage. Suddenly as I started speaking I realised that all the experience I had as a singer clicked into place. That adrenaline, that fear and that nervous energy just kicked into motion. I felt like I was in the right place and I’ve really enjoyed speaking ever since. So it was an accidental fall into social media then? Yes, it was something I was interested in and it was all the connections which is something I forgot to mention. All the people I met in the social media space, all the people involved with social media marketing, they were just such lovely people. Google+ was the place at the time where I met all these people and I started to go to conferences and built a network of people. That changed everything for me. As well as content marketing I’ve found that going to places like Social Media Marketing World, it’s very difficult there to find anybody who’s nasty and horrible. I agree, it’s always really lovely to get together with fellow social media geeks. I think the first time I heard of you was, you’d written a blog post on OBS studio. I did use that tool briefly but my computer wasn’t up to it. I used it because of your blogpost. For anyone who doesn’t know this is a live streaming tool that lets you share multiple screens. Tell me how many views that blog post has had? I haven’t checked it for a while but the last time I checked it had over 4 million page views. That’s the stuff most bloggers dream of. Why did that take off do you think or how did it take off? When it comes to blogging, I’m not a frequent blogger. I wish I was able to write more frequently. When I write an article I go into depth because I really want to create value for people. I had this problem at the time, Facebook Live was a relatively new thing. All my friends who had iPhones, I was an Android user at the time, seemed to have access to it. So I was looking for a way for people to broadcast, easily, using software like OBS studio. The problem was that it was really complicated and that annoys me. So I ended up writing this article on how to broadcast from your computer to Facebook Live using this software called OBS studio. I also developed a little button on that page that gave you the option to go live to your profile your page or your group. I knew that I needed to create this quickly because this was the perfect storm. No one else had really written a comprehensive article that was easy to understand at the time, particularly with that button. I knew it was going to be popular but I didn’t know it was going to be that popular. The problem was, at the time I hadn’t really thought about monetisation, I hadn’t thought about what the point was of all this. Of course, the great thing about writing an article that does well is that you get a lot more traffic. That also means high hosting bills and my website crashed! I started thinking about how was I going to help people and that was actually the launch of my first couple of courses and helping people with consultation with live video. So that changed everything for me. I’d say it did because everywhere I looked at the time that article was being shared. It was at that moment where everyone was getting started with Facebook Live. It was a great success, but I think you had the same problem a lot of bloggers do when they have a success about monetising. They feel like they have wasted that opportunity. I imagine you have a better process in place now? Yes, the thing about the success of that post is that it forced me to do something that I had wanted to do for ages and that was create a course. At the same time as moving house, I decided to put together this course on Facebook Live and got it up really quickly and it did really well so I was able to monetise. But oh my goodness there’s nothing quite like that pressure to push you into creating something. Also, I’ve been quite good right from the start even if I wasn’t thinking about monetising my blog in the early years I was good at getting people to sign up for my newsletter. 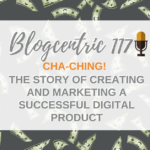 I was using Mailchimp at the time and one of the reasons for me changing from Mailchimp to Active Campaign was because the article was doing so well I was getting thousands and thousands of sign-ups. It came to a time when it was cheaper to move to Active Campaign than stay with MailChimp. Also because of the course I was producing, Active Campaign let me do quite a few extra cool things that I wasn’t able to do before. Let’s talk about Facebook Live. I know you are a big fan of embracing your nerves and I’m going to say something that is going to make some people jealous. I don’t get nervous before I go live. That might not actually be a good thing? It’s interesting, I think we’re all different so I think we need to be careful about how we compare ourselves to others so I’m not going to say to you Amanda that it’s a problem that you’re not nervous. I’ve seen you on video, you deliver really well, you’ve got that confidence. I think though that many people will get nervous. I still get nervous and I think that’s not a bad thing. For those of us that do feel nervous it’s a good sign because it shows that we care for our audience and we want to do our best. But, it will become easier the more regularly you do your video. The more organised you are, the easier it will get and the more confident you will become. There are definitely some techniques that you can put into place that will make it easier for you. You mentioned being prepared there. If you want to do a Facebook Live should you bite the bullet and just go and do your first one or should you spend a bit of time preparing? I think sometimes preparation can get in the way of us actually doing stuff. Is there a happy medium there? There is a halfway house, I think I tend to over prepare and I end up then never actually doing it. I think you do at least need to have some idea of what you are talking about. It doesn’t have to be complicated, maybe just come up with three points. “In this video I’m going to share with three points to do with X”. The next thing you need to do from a technical point of view is to make sure that you’ve got everything you need. For live video it’s not complicated. You only need two things. Firstly you need a reasonable smartphone, Android or iPhone that isn’t falling to bits, that’s got a decent camera and microphone. Secondly you need a decent internet speed. Upload speed is key here. Before I go live I always go to Speedtest.net or download the app and I check my upload speed. I’ve had some bad experiences, I’ve tried to go live and for whatever reasons I’ve had internet problems and no one could hear me. If you’ve got 4 or 5 Mbps upload speed you’re fine, you’re good to go. Then just give it a go. The first thing that you can do, and this is what I did to start with is just go live to yourself. If you go to your profile on Facebook and create a live video post but change the privacy settings to ‘Only me’ and then just try it out, make sure everything is working. The only person who will see it is you on the replay afterwards. And then just go for it. There are a few other steps that you can work through before you go live. I’m a big fan of Instagram stories. It’s a great way of building consistency and getting in front of the camera but at some point you are just going to have to press that ‘Go Live’ button and do it. Yes, a bit of preparation is good but otherwise just do it. I went live on Facebook first because it was this big new shiny thing but now I think it’s a really important part if you are going to use Facebook for marketing. Is it important do you think? And what’s the value of doing it? It’s not the silver bullet, I think you have to have a slightly bigger strategy other than just Facebook Live. There should be other things that you should be doing. But, the great thing about live video is that puts you, your face in front of your audience. It allows them to engage with you and ask you questions. It’s also a great way of showing the real you. People are getting a little bit fed up of the perfect videos where we’re not seeing the real person behind it. 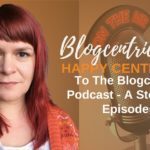 it’s a great way for you to put your personality forwards, of you connecting with your audience in a really positive and transparent way. I know people use the word transparent all the time but it’s really attractive to your audience. It’s also a great way of building conversations and engagement. With the algorithm changes with Facebook, they are putting more and more weight on the conversations between friends on your posts. The more conversations you have, the more likely your posts are going to do well in the algorithm so that’s another thing to think about. Yes, because you do seem to get a lot of comments on a Live video. The other thing that I forgot to mention is that it’s a really quick and easy way to produce content. For me, this infrequent blogger that I am, I spend a huge amount of time preparing my blog content but live video, yes you have to prepare but once you hit that go live button you’re on your way to preparing some really quick and easy content. You can then repurpose it onto your blog, you could transcribe it and create content much more quickly on your blog as well. That’s something I do. I use a plugin you can get for WordPress ‘Simple Social Press‘ that will take your Facebook post and put them onto your blog and even extract the comments. One big question, I recorded my first Facebook Live 2 years ago. When I look back on it, I was trying to be perfect. I was very prim and proper, very posh. Have you looked back at your Facebook Live recently? Have you noticed a change in yourself? Ugh, dear me. Inadvertently I have. It’s a little bit depressing but it’s also positive because it shows you how far I think we can all go. I think we need to make those mistakes to begin with. I think we need to be constantly checking up to see what we can learn next. So I do recommend looking at your live videos even though for a lot of us it’s going to be excruciatingly horrible to look at yourself. I think we need to learn from that, to ask other people in our communities who are honest with us ‘What can I do to make it better for you guys’. So definitely look at your live videos and see what you can do to improve them each time. I do think old videos look weird to us but at the time they were very innovative and creative for anyone who was watching. It’s just that whole thing of growing. Tell me about your new Facebook group and you’re launching a new course. Tell me about that. The technical thing, the gear and the tools. What on earth do we share when it comes to live video? What’s the content? This year I’m going to be launching something called the ‘Confident Live Marketing Academy’ which is going to help people with those three problems and help people to launch their live show in a really confident way even if they are shy or struggling with confidence in front of the camera because I’ve been there and I understand it. There’s going to be an accountability group and a live video challenge as part of that. Go to iag.me/academy launching at the end of April 2018. Ian is a Confident Live Marketing consultant and founder of Seriously Social. He’s an international speaker, trainer, teacher, web developer and consultant. He has a passion for making the techno-babble of live video and social media marketing easy to understand. Ian is co-founder of Select Performers – a family run web agency. As well as being a geek, husband, and dad to two kids, Ian is also a professional singer and lives near Manchester in the UK.